The HHS Office of Inspector General offers providers and opportunity to self-disclose certain violations in exchange for avoiding some of the more draconian penalties that may otherwise apply under applicable regulations. Even though the OIG’s self-disclosure offer can be very compelling, the decision on whether to utilize the OIG’s self-disclosure protocols is often very difficult. Unfortunately, it is not always clear whether a violation of a regulatory requirement has occurred. Those involved in health care law are familiar with the level of ambiguity that often exists with respect to specific billing rules and other regulatory standards. On the other hand, the potential liability for making the wrong call about whether an infraction has actually occurred can be quite significant. Clearly, if a provider is deciding whether they have violated a regulation, they have knowledge that the situation has occurred. The failure to act once knowledge is obtained or imputed can lead to sanctions being multiplied. For example, failing to repay a known overpayment within 60 days can triple the amount of penalties and add up to $22,000 per claim to the price tag. The current regulatory scheme places a very high price tag on being “wrong” about whether a regulatory violation is present. The potential high damages for an incorrect decision forces a provider to take an overly expansive view of when (or whether) a regulatory infraction has occurred. Clearly not every situation where there has been a billing error amounts to fraud or wrongdoing requiring use of the self-disclosure protocol. Many over-payments that are identified through audit can be dealt with at the intermediary level. 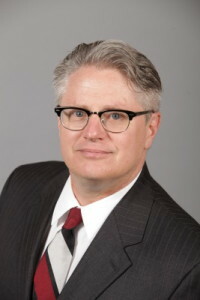 Where investigation raises questions about whether incorrect bills are “knowingly” submitted, the self-disclosure process may provide some mitigation of potential loss. Situations where the provider perhaps “should have known” raise more difficult issues of analysis. The Office of Inspector General’s self-disclosure process is available when there is a potential violation of Federal law that could result in the imposition of Civil Monetary Penalties. A simple determination that a billing error may have led to an overpayment is generally not covered by the protocol. It is only when the error presents potential CMPs that the protocol can be used to self-disclose the violation to the Federal government. For example, self-disclosure might be considered where an overpayment is not repaid within 60 days after discovery by the provider or where there is a violation of the anti-kickback statute discovered. To complicate matters even further, once a provider obtains actual knowledge that a billing error occurs, it is always possible that the government will take the position that the infraction “should have” been known to the provider at an earlier date. This impacts when the 60 day clock that triggers the application of the False Claims Act begins to run. Once you discover an error, you would like to think that you have 60 days to self disclose and avoid the damage inflating False Claims Act. Whether you should have discovered the infraction earlier through a properly functioning compliance program will always overshadow these cases. The only thing that a provider can really do to reduce the stress of this type of impossible situation is to have a strong compliance program in place well in advance. The situation is also complicated because a potential whistle-blower may view a situation much differently than a provider who finds what it believes to be an innocent mistake through the audit process. A provider may sincerely believe that there was no “wrongdoing” and that a simple mistake has been identified. Finding such a mistake may actually be evidence that the provider’s compliance efforts are working. On the other hand, there is a whole legal profession out there now that is advertising for people to come forward as whistleblowers. With potential recovery under the False Claims Act of 3 times the over-payment plus up to $22,000 per claim, whistleblower lawyers have strong incentive to attempt to turn what the provider believes to be an innocent mistake into a false claim. The damage calculation creates a big payday for whistleblower plaintiffs and their lawyer, who take these cases on a contingency fee basis. Generally speaking, when errors are discovered, the providers best bet is to be forthright and deal with the matter “head on.” A complete internal investigation should be conducted to determine the precise nature of the issues and to identify the extent of wrongdoing. Based on the outcome of the investigation, the provider can determine whether a simple repayment can be used or whether there may be reason to go through the formal self-disclosure process. Anyone who has worked with reimbursement rules will realize that payment policies, rules and regulations are not always clear. It is often difficult to determine whether there is even a violation of applicable rules or whether an overpayment actually exists. Legal ambiguities further complicate the self-disclosure decision. The precise nature of any legal ambiguities involved in the specific case need to be completely documented. If a decision is made that there has been no wrongdoing, the legal analysis should be laid out in writing and in detail and a reasonable judgment should be made regarding the interpretation of applicable legal standards. If self-disclosure is made in situations involving legal ambiguities, those ambiguities should be explained in detail as part of the self-disclosure. In the end, a provider facing potential self- disclosure must follow a reasonable process to make a reasoned decision in the face of significant risk and uncertainty. Perhaps most importantly, it is never a good alternative to pretend that the situation will never be discovered or brought to light. These cases can arise in strange and unexpected ways. It is best to assume that a discovered compliance violation will eventually be brought to light. In most cases it is advantageous for the provider to affirmatively bring the matter forward rather than waiting for the government or a whistleblower to bring a claim. When that happens, it is much more difficult to resolve the issue. Many surgery centers are eventually faced with decisions about how to treat investing physicians who do not perform as many procedure procedures in the surgery center as others. Under-performing physicians can create political issues in ASCs because investors who perform more surgeries or higher value procedures at the center feel that the other investors are taking a ride on their efforts. Over time, higher producers may start to view those with lower surgery levels as “dead wood”. This dynamic is a perfect set up for violating the anti-kickback statute which specifically prohibits basing investment offering on the actual or expected volume or value of referrals. ​The anti-kickback statute standards that apply to surgery centers are somewhat counter-intuitive. The safe harbors that protect ASC investment interests actually require an investor to make certain levels of referral in order to receive the benefits of the safe harbor. This is different from other types of services which consider additional referrals to be suspect. ​The conditions included in the ambulatory surgery center safe harbors act as a proxy for determining when an investing referrer actually uses the ASC as a natural extension of his or her office practice. If the investor does not meet the Safe harbor threshold they may still use the ASC is a natural extension of their office. The Safe harbor merely provides absolute protection if the thresholds are met. Where the specific requirements of the safe harbor is not met, the referring physician may still be using the facility as an extension of his or her medical practice. It might just be that the nature of the practice does not support as many referrals as other types of practices. This does not necessarily mean that the lower volume provider presents any additional risk of violating the anti-kickback statute than a provider that comes closer to meeting the safe harbor standards. Depending on the practice type, the lower level of referrals might very well still be indicative that the physician uses the facility as an extension of his or her practice. This may not be what the higher referring physicians wish to hear. In reality, they may feel that lower volume providers are taking a ride on their higher profitability that is created by there more lucrative practice. In these cases, strict adherence to the one-third tests for multi specialty ambulatory surgery centers can support the positions of the high-volume surgeons to the detriment of the lower volume surgeons who still realistically create very little risk under the anti-kickback statute. 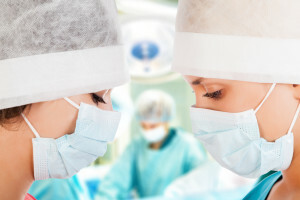 However it becomes convenient that those who are responsible for more income being produced by the ASC can rely upon the number of procedures and percentage of income tests to exclude physicians who legitimately use the ASC is an extension of practice from participation but who have lower surgical volumes. These types of cases run significant risk of being challenged under the anti-kickback statute by excluded investors or governmental enforcement agencies. Great care must be taken in surgery centers that contain this dynamic to assure that frustrations of higher volume producers do not lead to actions that create regulatory risk for the surgery center. Many operating agreements that govern the rules relating to ambulatory surgery center ownership actually create legal compliance risk. It is critical that the procedures for excluding providers be established in advance, are uniformly followed, and do not raise any inference that additional referrals are being required in order to maintain an investment interest. Efforts to bring investors closer to compliance with safe harbor standards can easily be “turned inside out” and be re-characterized as requiring additional referrals. Once investors own interests in an ambulatory surgery center, it is very difficult to force redemption without creating a lot of legal risk. ASCs that use the failure to meet safe harbor standards as a reason to exclude investors run substantial risk. The ASC Safe Harbor provisions exist to protect arrangements from further scrutiny where they contain elements that the federal government has indicated are reflective of there being a lower level of risk of abuse. The safe harbors were never intended to be used as a tool to replace a complete risk analysis presented by investors who do not meet all of the terms of the safe harbor. In this respect, the ASC Safe Harbors are different from other safe harbor provisions under the anti-kickback statute. The primary difference involves that fact that the safe harbor actually requires certain levels of referrals to be made to the ASC. With other safe harbors, structuring an arrangement to come close to a safe harbor can be a valid risk mitigation approach. This is not the case with the ASC safe harbor because requiring investors in an ASC to come closer to the referral threshholds in the ASC Safe Harbor actually invoke the referral prohibition. Forcing this doctor out of the ASC for simply not meeting the safe harbor creates a violation. Should a Dental Practice Have a Compliance Program? 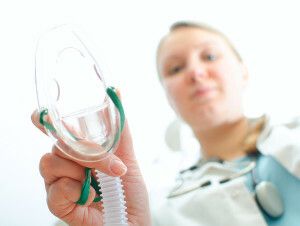 Compliance programs are an accepted requirement in most of the health care industry. There seems to have been less importance attached to the establishment of systematic compliance programs in the dental practice area. I believe part of the reason why the dental industry has lagged behind other health care providers in the compliance area is that there is very little Medicare reimbursement involved in the usual dental practice. Certainly much of the reason for compliance program involve Medicare enforcement actions. However, dental practice that under-emphasize compliance are assuming a great deal of unnecessary risk. Certainly some dental providers receive Medicare reimbursement for a portion of their services. Oral surgeons for example regularly perform services that are covered under the Medicare program. Many practices accept Medicaid reimbursement or reimbursement from other Federal health programs. Additionally, practices that receive reimbursement from federally funded health care plans are required under Federal law to establish and effective compliance program that contains the “core elements” set forth in Federal law. The Federal standard required dental providers who receive this type of reimbursement to actively operate a compliance programs that is effective in preventing and detecting criminal, civil and administrative violations and in promoting the quality of care that is provided by the practice consistent with federal regulations. There are many reasons beyond reimbursement requirements to operate a compliance program. Dental practices must maintain systematic process to assure compliance with OSHA regulations, HIPAA and state privacy regulations, and a variety of other federal and state rules and regulations. Some of these regulatory areas are subject to aggressive governmental oversight including periodic audits and inspections. Other areas are not subject to aggressive enforcement. All of these areas, even those where there is no aggressive enforcement, can expose the dental practice to liability if a complaint is made by an employee, former employer, patient, competitor, or other individual. Some of these potential complainants can even establish whistleblower status and can bring private action for recovery. Some practices that implement compliance programs and perform audits over billing and collection practices are pleasantly surprised when they discover that they have actually been under-billing. 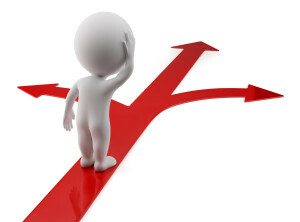 Audit of potential risk areas can indeed identify missed revenue opportunities. This does not happen in every instance, but there are circumstances where the audit process actually identifies new revenue streams. For most providers, operating a compliance program will have the benefit of deterring potential future liability. If detected early, it is much easier to deal with a potential infraction when it is self-discovered before the potential damages become insurmountable. It is one thing to deal with potential over-payment or failure to follow a regulation. It is much more difficult to resolve these issues when they are brought into the open from an outside party. By that time, potential sanctions may have multiplied to an unmanageable level. For example, if the False Claims Act applies, a simple over-payment can be multiplied by 3, plus $11,000 to $21,000 per claim can be added to the otherwise manageable over-payment amount. In summary, there is every reason for a dental practice to actively operate a robust compliance program. Those that believe that a compliance program is not needed because Medicare reimbursement is not present should think again. Eventually, it is highly likely that the failure to maintain an active compliance program will catch up with you. I have represented many health care providers who have been subject to the negative impact of not operating a compliance program. I can tell you that they all share the same regret that they did not deal with compliance proactively while they had the opportunity. For those of you who are still reading, I want to briefly describe the 7 basic elements of a compliance program. Each of these elements can be expounded on further, but I will touch on them briefly here. Appointment of a high ranking member of management to act as compliance officer. In a smaller practice, a compliance responsible individual can be used. Compliance program structure can be scalable to the size and resources of the provider and the nature and complexity of the business. Compliance policies should be put in place that describe the process to be used to conduct ongoing compliance activities. Compliance policies will define compliance operations and will also outline requirements in risk areas that are specific to the nature of the practice. Employees, contractors and others must be trained on basic compliance program elements and risk areas that are applicable to their job functions. Creating a compliance reporting system and protecting those who make complaints from retaliation or retribution. Enforcing disciplinary standards that hold employees responsible for following compliance requirements. Operating a system to continually identify areas of potential compliance risk within the practice. Maintaining a system of appropriately responding to identified compliance problems through creation of appropriate corrective action, self-disclosure or other appropriate action. Putting these elements in place through adoption and operation of appropriate policies and standards establishes the central elements of the compliance process. It is critical that the activity does not stop at the establishment of policies. A compliance program must be continually operated as a living a breathing process to identify and address risk in a practice manner. The compliance officer or responsible individual is responsible for assuring the continued operation of the program. 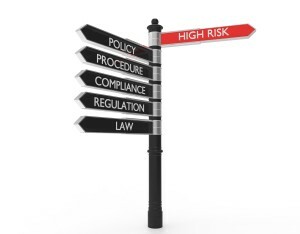 Risk areas in a dental practice include reimbursement rules, licensing and certification standards, OSHA regulations, HIPAA and state patient privacy laws, infection control standards, radiation regulations and standards, documentation requirements, controlled substance regulations and a host of other state and Federal regulatory requirements. Your compliance program in effect creates the process to identify risk and proactively examine potential areas of risk to determine compliance. An actively operating compliance program is a necessary elements of every dental practice. You are currently browsing the Health Law Blog blog archives for February, 2017.